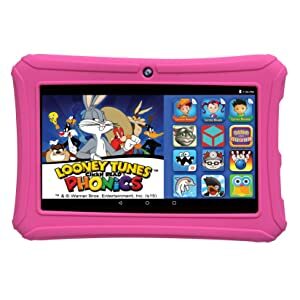 Looney TunesTM ClickN Read Phonics incorporates the research-based curriculum of the highly acclaimed ClickN Read Phonics program and features the zany antics of Bugs Bunny, Daffy Duck, Taz, Tweety , and more. Guided by Professor Wizbot and the 100 interactive lessons geared toward children in kindergarten to third grade, kids will learn to read the correct way. 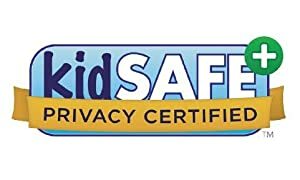 KidSafe+Privacy Certified. 100% Silicon Extra Rugged Design FDA Approved. 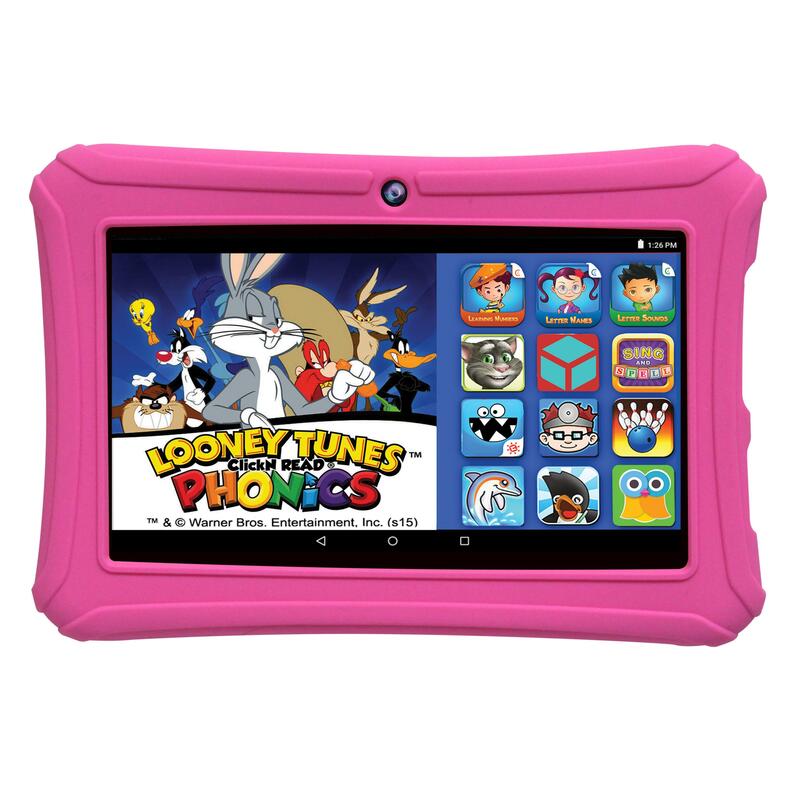 Multi-lingual User Interface: Designed for Kids Ages 2-10 and Adults. SmartRunnersTM series is and educational "endless running" game that utilizes effective instructional design and the engaging nature mobile gamin to teach fundamentals of number recognition skills with Learning NumbersTM, letter sounds recognition skills with letter Sound A-ZTM and mastering names with Letter Names A-ZTM, in a fun and unique way. ClickN SpellTM This innovative program was designed to closely match live instruction by expert spelling tutors. Each spelling curriculum features an online cartoon instructor who gently guides your child through the lesson in a way that most resembles live classroom instruction. The mission of The Epik Learning Co. is to revolutionize the world of digital education by Empowering Parents and Inspiring Kids. Our instructional programs are based on proven and effective learning methodologies developed by one of the nation’s foremost research professors in the areas of instructional design and applied research are designed for learners in grades Pre-K through Grade 5. The EPIK Learning Tab comes equipped with Kiddoware , the best parental controls available today, which allows parents to supervise what their children are seeing while using the Epik Tab, with the help of content filtering and build-in monitoring functionality. 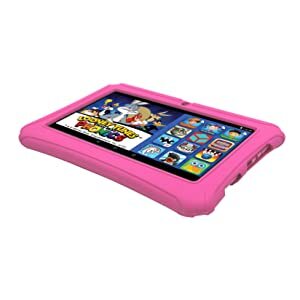 Parents are able to protect their children’s identity and even control when and how long kids can use the tablet. Education and Fun. All in One! Fun and interactive learning games that teach the fundamentals of reading and math. Spelling curriculum featuring an animated instructor guiding your child through lessons in a virtual classroom. 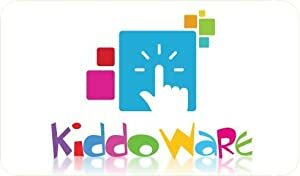 Privacy, safety and technology practices have been independently reviewed to meet KidSAFE certification standards. The best parental controls available today. Control what your kids see with content filtering and built-in monitoring. 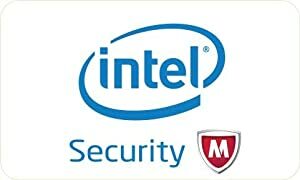 Includes 6-months of free protection from McAfee, the ultimate protection for your data and identity on your devices. 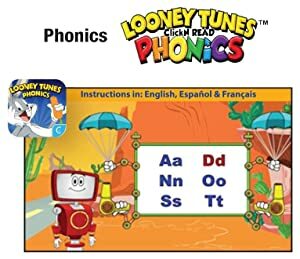 Looney Tunes ClickN Read Phonics incorporates the research-based curriculum of the highly acclaimed ClickN Read Phonics program and features the zany antics of Bugs Bunny, Daffy Duck, Taz, Tweety , and more. Guided by Professor Wizbot and the 100 interactive lessons geared toward children in kindergarten to third grade, kids will learn to read the correct way. 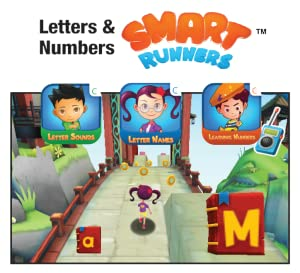 SmartRunners series is and educational 'endless running' game that utilizes effective instructional design and the engaging nature mobile gamin to teach fundamentals of number recognition skills with Learning Numbers, letter sounds recognition skills with letter Sound A-Z and mastering names with Letter Names A-Z, in a fun and unique way. This innovative program was designed to closely match live instruction by expert spelling tutors. Each spelling curriculum features an online cartoon instructor who gently guides your child through the lesson in a way that most resembles live classroom instruction.